People are talking more and more about how to encourage young women to enter, remain and gain promotion in the male-dominated IT sector. Now, raising awareness of the issue is a good start but it’s not enough. It’s simply too late to encourage women to pursue a career in IT when they are selecting their university courses. There’s a “golden window” between the ages of 14 and 17 years when girls are deciding what they want to do with their lives and the industry needs to take advantage of it. As an industry, we need to educate our schools, career advisors, teachers and parents that IT is a great career choice. These influencers are then more likely to encourage students, their children and particularly girls to think about a career in the tech sector. There are many ways of doing this, such as programs like Go Girls Go for IT, held by the Victorian ICT for Women network at Deakin University every second year. This is an environment where mainly women provide education and interactive programs, demonstrating the diversity of IT to young girls. Ultimately, the program aims to highlight that IT skills are transferrable no matter where you work around the world. What some girls may not realise is that the highest ranking “best companies to work for” are in the technology sector. IT jobs are also well paid and women have an unlimited choice of industries to work in because every business uses IT. Associate Professor Jo Coldwell-Neilson and Academic Director Annemieke Craig from Deakin University, have collected and collated feedback from attendees over several years of the Go Girls Go for IT program. They will soon publish the results of their research, which rightly emphasise that we should highlight that women have many opportunities and are being sought after by IT companies, and not that it’s a male-dominated sector. Let’s also debunk the myth that IT is geeks sitting staring at a computer and note that IT people are constantly working and collaborating with people within the business and are expected to be great communicators. These are just two examples, but we have a great opportunity to improve both the numbers of women within IT, but also to “rebrand” IT as well. So I believe it is now time to start marketing IT better in general, but particularly to women. Then the challenge is to retain and promote women. Stating the obvious, but men and women are different and have quite varied approaches to the same challenges. This variation brings a greater depth to any team and assists with being able to mix and match options and solutions. So again, it is not just about improving diversity, but improving the deliverables of the team. Great managers are aware of these differences for all staff and adapt their styles to support and promote staff accordingly. Typically however, we all tend to subconsciously gravitate to people we feel comfortable with, men with men and women with women. Therefore, the potential is that men may tend to favour men and conversely the same occurs with woman. This is not always the case and there are exceptions. However, when recruiting, rewarding or promoting staff, I believe all leaders and their teams should be aware of these subconscious instincts and consider how they will avoid them. Like any good business issue, once you are aware of the problem, you then need to determine who is doing what and by when, to resolve it? All very simplistic in a complicated issue, however if all our IT leaders had a measurable plan for improving diversity within their departments, then the trends would be improving at a much faster rate. So, here’s a call out to all IT leaders to look at diversity within your teams and if required, make a plan for action. Let’s convince women that IT is a great career choice. 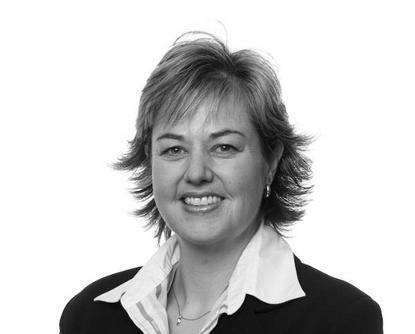 Fi Slaven is a CIO and a board member at the Victorian ICT for Women Network.